Sussman Fast, Fair and Friendly. 748 great vehicles to choose from. 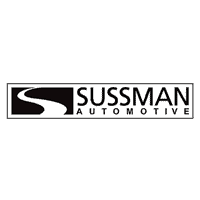 Our Sussman technicians will repair your vehicle with care. Whether you have a new or used car, truck or SUV, bring it to Sussman Automotive for our expert auto service center. We offer full Acura, Honda, Hyundai, Genesis, Kia, Mazda service centers near Philadelphia, PA . With certified technicians, we use the latest diagnostic and repair equipment to make sure that you are back on the road as safely and quickly as possible, while maintaining a high level of quality. Sussman Automotive Group is a great place to shop for new Acura, Honda, Hyundai, Kia, Mazda, and Genesis as well as used cars near Philadelphia. However, this is far from all we have to offer shoppers in the areas of Jenkintown, Abington, and Willow Grove. Not only can we help you get behind the wheel of the perfect vehicle for you, we can also help you find a payment plan as well as maintain your vehicle for years to come. Read ahead to learn more about what we can do for you! At our handful of dealerships, you’ll find an expansive selection of vehicles to choose from. No matter what is on your next-car wish list, we’re confident that we can set you up with the vehicle that you’ve been searching for. With hundreds and hundreds of new vehicles to choose from, we have something for ever shopper. Whether you’re looking for a sporty sedan for your daily commutes, a spacious family-friendly SUV, or a luxury vehicle, we have it at one of our amazing dealerships. Even if you’re looking for a quality used or certified pre-owned vehicle, Sussman Automotive is the way to go. Check out our expansive pre-owned car inventory right on our website today. After you have your next vehicle picked out, it’s time to start thinking about how you’re going to pay for it. Thankfully, you won’t have to take on this leg of the process alone with our team of friendly finance experts standing by. Whether you want to buy or lease your next vehicle, our team of finance professionals can get you set up with a payment plan that you feel confident about. Find out more about how you can get a car loan, even if you have bad credit, at Sussman Automotive Group with auto financing. Thinking about leasing your next vehicle rather than buying this time around? Every Sussman dealership is happy to find a new car lease deal that works for you. Even after you drive off the lot in your next new or used vehicle, our team at Sussman Automotive is ready and eager to help you when you need it. At our on-site service centers, you can have every single one of our maintenance or repair needs met by our experienced team of service technicians. No service need is too big for them to handle. From simple routine oil changes to full-on collision repairs, our service team can right the ship and get things back to normal. You’ll be back out on the road in no time. Now that you have a better idea of what we have to offer at Sussman Automotive Group, we hope you’re ready to take the next step towards car ownership with us. Shoppers in the areas of Jenkintown, Abington, and Willow Grove can get started by browsing our entire inventory right on our website. Then, give us a call at the dealership to schedule a test drive!